One of the joys of building the Pilgrim Trail and creating the Camino Salvado ® has been building links with new peoples both here and overseas. First it was our Camino Salvado ® Committee, then it was the walkers themselves. After that it was the Pilgrim Trail Foundation Board members, then meeting with the Whadjuk and Yued people, and all the councils, cities, DPaW Rangers and administrators and the hundreds of others with whom we have crafted such a great relationship. Now we’re going global with the Colloquium in Galicia, Spain and the wonderful people we met there. Now we’re in the twitter-sphere taking our message and our Camino Salvado to the whole world. At the end of November I gave a presentation to the 9th International Colloquium Compostella in Santiago, Spain which was on the Camino de Santiago and it’s heritage. Speakers came from all around Europe and my talk on The Pilgrim Trail and the way of Salvado – our own Camino Salvado – was greeted with great interest. It was a very special occasion to be able to talk with experts on Pilgrimage from all around Europe and one even from Japan, and to be able to tell them what we have done here in Western Australia and the stories that surround the Trail. One of the outcomes is that I was encouraged to begin talks with our State Government, and the State Government of Galicia with a view to establishing a Cultural link between the two States based on our rich Heritages and especially the common figure of Fra Rosendo Salvado who came from Spain to Australia in the 19th century. The enthusiasm for our Trail was palpable. According to teh Co-ordinator of the event “Australia was the tenth power in number of pilgrims on 2013. According to the official statistics, there were 3,098 Australian pilgrims in the Camino de Santiago, and this number will be higher this year”. That means that there are over 3,000 Australians who might also want to experience our very own Camino here in their own country. So please – spread the word and tell everyone you know that in 2015 The Pilgrim trail is there for them. I wish you all a joyous Christmas and every Blessing for 2015. 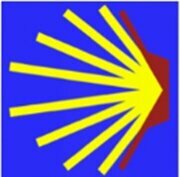 In just 4 weeks I’ll be presenting a talk in Santiago de Compostela on our own Pilgrim Trail® and the Camino Salvado™. There will be other guest speakers from all round Europe, but only one from Australia! I am told by the organizers that because of our strong connection to Rosendo Salvado who entered the monastery in Santiago, that the media in Galicia are very interested in our activities and what we have created here in Western Australia. So if the Aussie $ continues to decline, perhaps we should all start brushing up on our Europena languages as more pilgrims from that part of the globe come to walk our Pilgrim Trail. On another happy note, Holy Cross College students have been walking the Pilgrim Trail and all of their year levels from 7 – 12 will have done some of the pilgrim trail this year! They are already planing for next years walks. Well done to all staff and students who have made this possible and done such a great job. I’m currently working on a book of reflections for the Camino Salvado which we hope to have ready for early in 2015. It’s hoped that it will be a useful resource book for school students who are considering walking the Pilgrim Trail. Watch this space! The second Camino Salvado organized by St Jospeh’s Church Subiaco has just been completed, and by all accounts was another great success. According to Alan and Bernadette Lush “Our Camino could not have been better, blisters were the only issue and readily dealt with”. Many thanks to Sue Hymus, John Bell and their organizing committee whom I know are already fielding inquiries for next years 2 Parish Caminos. For those of you who might be considering walking the Camino as a small group of your own, check out our advice page http://pilgrimtrail.com.au/about/ to get some pointers for organizing your own walk along the Pilgrim Trail. Camino Salvado is now in it’s 6th year and attracting walkers from all around Australia. Later this year I’m going to Santiago de Compostela to give a talk on how we established the Camino Salvado and went on to create the Pilgrim Trail. This is such an exciting time for this new Heritage Trail here in Western Australia.